Following lengthy negotiations with employer representatives from the plumbing industry, Unite, the UK’s largest construction union, has secured a three-year pay deal for plumbers employed under the Joint Industry Board (JIB) plumbing national agreement. Workers in England and Wales covered by the agreement will receive an overall 8.4 per cent increase on pay over the lifetime of the three-year pay deal. Workers will also receive two days additional holiday, increases in allowances which match increases in basic pay and a 20 per cent increase in sick pay. 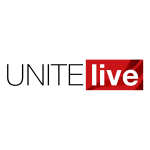 Members of Unite overwhelmingly endorsed the pay deal in a consultative ballot. Unite national officer for construction John Allott said, “This is an excellent deal for plumbers and is well above the average pay awards that workers are receiving across all sectors. “In addition to the increase in basic rates, workers will also receive a total of 32 days holiday a year and substantial increases in all allowances.